Abstract: Airwheel is the leading company in the electric self-balancing scooter industry. The Airwheel scooter is famous for its high quality, safety and energy saving and reasonable price, which make it the best choice when you choose your scooter. After the scooter was invented, the lightweight size and cool shape make it popular among the entire fashionable tastemakers. More and more people are interested in the electric scooter, but how to choose the best one is a troublesome problem for there are so many brands. Which one is your favourite one? The answer is obviously Airwheel. 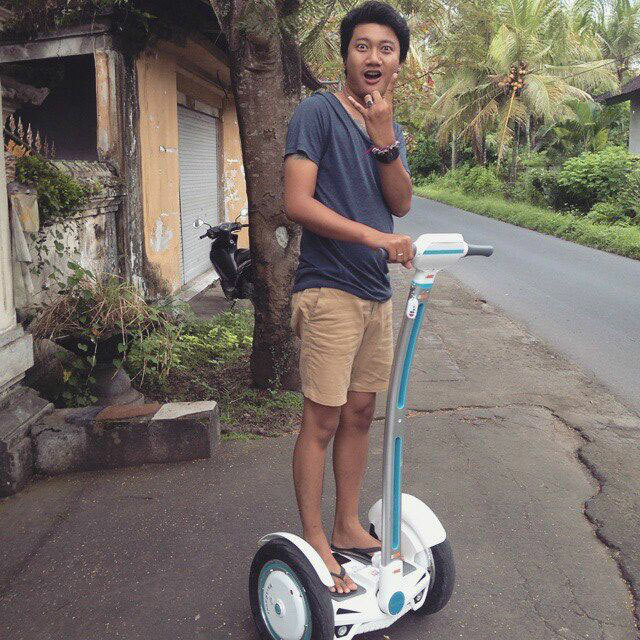 Only Airwheel can make you never regret for your choice. Let me tell you the reason. We would analyse Airwheel from all aspects to prove this is your NO.1 choice whenever and wherever. The electric self-balancing scooter is the technology crystallization. Various precise components are somehow costly which means the scooter cannot be as cheap as ordinary toys. Even the cheapest one can be at least hundreds of dollars. If we don't choose the scooter carefully, it would have problems now and then. The repair fees can incur a sum of money, which makes you angry and feel remorse. Airwheel adopts the Sony lithium battery core, the tyre form Cheng Shin Rubber. The High-tech Nano materials epoxy package, and ultra-quiet levitation machine. Every kind of material is well selected. Only in this way can the excellent scooter be made. Only the best quality scooter can make Airwheel such famous and win positive public praises. The electric scooter is after all a kind of tool for travel. Therefore the safe riding experience should be the first thing to be ensured. The Airwheel particular intelligent chips are of the aerospace attitude control theory, fuzzy software and algorithm gyroscope system. The electric scooter can not only ensure the anterior-posterior self-balancing but also provide the reliable speed limiting protection which can make sure their riding speed can be limited to the safest range to ensure the rider’s safety. There are many low-quality scooters in the market which pursue only the profit rather than the safety. They enlarge the range of speed limit while they can’t upgrade their hardware to match the high speed. If the power failure happens, the scooter would not brake in time, which will cause terrible accident. The Airwheel scooter led the electric-scooter for many years with its product sales well both at home and outside the country. All these prove that Airwheel is reliable and best choice. No one has a reason to refuse such a high quality product with a reasonable price. If you want to choose a scooter, just choose Airwheel.